√ Two raised burners on the oven designed to fit bowls, plates and pans. 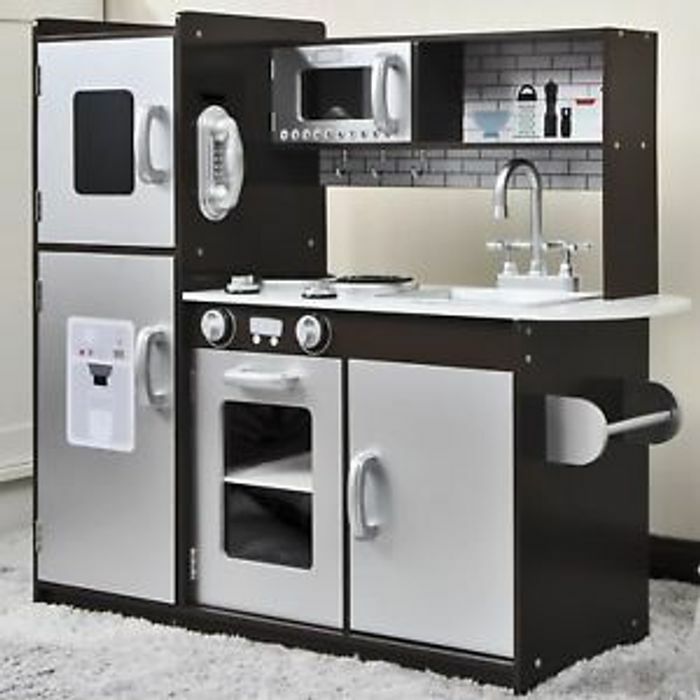 √ Kids will love this fantastic wooden kitchen with its great possibilities for learning and endless hours of fun,and this will make a great gift for any child! √ Helps keep bedrooms and playrooms tidy – other toys and accessories can be stored inside the kitchen! √ Refrigerator, freezer, microwave, dishwasher and oven doors all open and close with special molded latches. √ Material: Safe, sturdy wooden structure made by eco-friendly MDF with lead free paints.